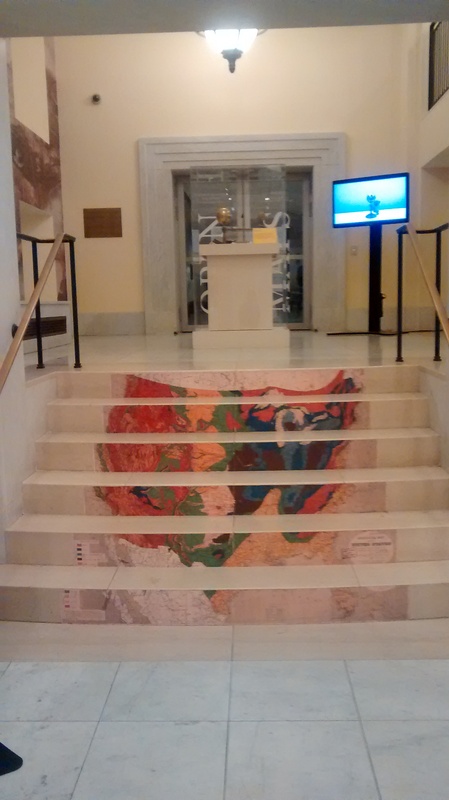 Entrance to the Norman B. Leventhal Map Center at the Boston Public Library. I always struggle with selecting the best sessions to attend at a conference, especially at a conference like NCSS with hundreds of options each day. I am very glad that the Map Your Way session caught my attention; it turned out to be one of the best experiences of my trip. Housed at the Boston Public Library, America’s first large free municipal library, the Norman B. Leventhal Map Center is dedicated to the creative educational use of its cartographic holdings, which extend from the 15th century to the present. The collection, ranked among the top ten in the United States, consists of more than 200,000 maps, 5,000 atlases, and 6,000 digitized maps and atlases from the New England region, American Revolutionary War period, nautical charts, and world urban centers. [The World] by Ptolemy. Published by Leinhart Holle, 1482. Map reproduction courtesy of the Norman B. Leventhal Map Center at the Boston Public Library. Perspective: How does your position in the world affect what you see? Are some maps better than others? Better for whom? Choice: What did the mapmaker include in the map? What did the mapmaker leave out of the map? Does the map tell a big story or a small story? Knowledge and Change: What does someone need to know to make a map? Where does this knowledge come from and how can what we know change? Lesson Plans & Curriculum Units – You can search the lesson plans by grade level, location, time period, and topic. The lesson plans are not just for the history classroom. You will find activities that cover math, geography, civics, art, and current events. Currently there are two full units of study available: Civil War and Math and Maps. Maps in the Classroom – If you would like to develop your own lesson plans based on maps in the collection, start with the Maps in the Classroom. 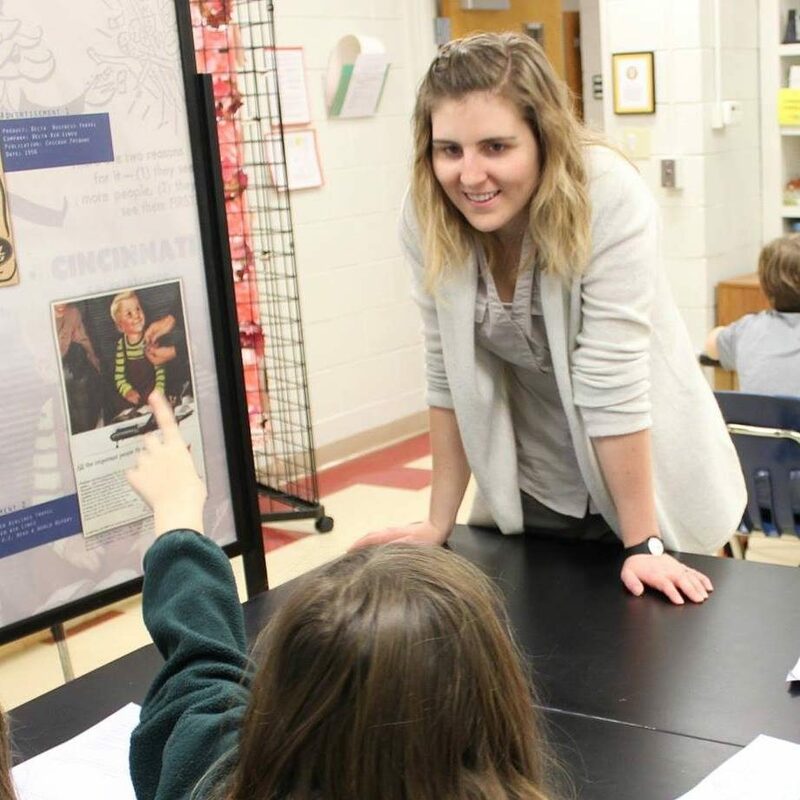 This resource features maps selected by staff at the Leventhal Center because of their potential value to K-12 educators. Search by location and topic to find maps that fit your needs. You can download and print 8 ½ X 11 reproductions or request a high resolution to make larger classroom copies. Map Activities –Many of the activities focus specifically on Boston, but there are several activities in the Can You Map This? section that could be used in any classroom to get students excited about geography. 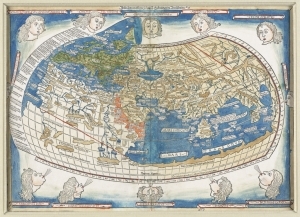 Exhibitions – Explore past, present, and upcoming exhibitions on display at the Leventhal Map Center. Several of the exhibition themes and topics support Georgia Performance Standards. For example the exhibit “Torn in Two: The 150th Anniversary of the Civil War” or “America Votes: mapping the Political Landscape” cover historical topics relevant to United States History, American Government /Civics, and Georgia Studies standards.